The new ChromManager6.n is implemented with new C#.net language with improvements from experiences more than 12 years. New easy to use interfaces, in particular, with additional intuitive data structures and dynamic and automatic data reduction and calculation, provide a smart, easy to use, time saving, yet very flexible chromatography data stations. More automated GPC data processing, etc. 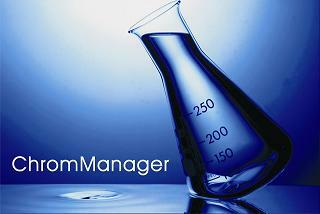 We have include all these demands into real functions and interfaces in the totally re-designs of ChromManager6.n. Followings are simple introductions, and welcome for downloading the formal version from our website, both for comprehensive understanding, and for providing a novel and complete vision of the modern high-end chromatography workstation. Due to the restriction of the internal background structures, the earlier ChromMnager versions some time experienced stability drawbacks, in spite of their rich and powerful functions. In viewing this, the ChromManager6.n are programmed from the beginning of development with specially enhanced internal background architectures and considerations, making all the subsequent developments be constructed on the basis step by step to realized a solid, powerful and easy to use system. The ChromManager6.n use Sample Sequence (folder), to hold and maintain a set of samples. The Sample Sequence provides many benefits available only from more smart and powerful Chromatography Data Station packages, and is very suitable for processing large sample set in a Sample Sequence to maintain quick data access for individual sample inside. 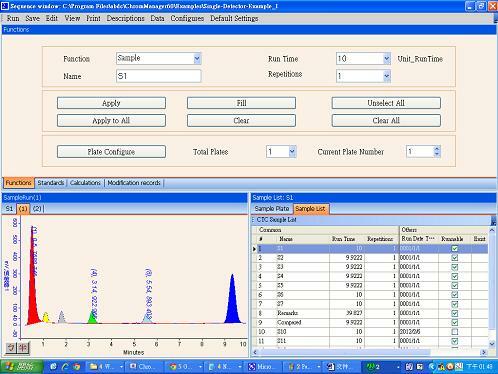 With the Sample Sequence (folder) of ChromManager, each set of samples (ie. a sequence) are stored inside and managed by a Sequence Window that is the user interface for user interactivities. More than one Sequence Windows can be opened corresponding to each sequences. A Sample Plate object are included in the sample in the Sequence Window, and can configured as the concept and shape of the Sample Plate of a Auto-Sampler, including to view or set the number of sample vial positions, the Run Time of all or some sample, the repeated count of each sample and others. Alternative Sample List view are also available for the management of larger sample list. to standard time ranges set. and calculation for user manual steps. that are defined by the user, directly without any preview steps, resulting a completely integration of the layout of printed objects and preview user interfaces that is very intuitive and easy to use. sequence folder under the specified folder. in plain text ASCII format when each chromatogram is acquired. to remote computer over the internet system. Since it was launched, the ChromManager provides one after another a variety of detector signal receiver box in order of PDaq55, LL302, MP640, and the current available MP9401. and the signal reception accuracy and resolution is also gradually improved. ChromManager6.n supports the MP9401 new model detector signal receiver box boxes, with USB interface to PC and highest accuracy and resolution. For GPC and SEC applications, the ChromManager6.n have been built-in now, with all the automated computing powers as that for generic GC, HPLC, CE applications as before. The ChromManager6.n is further designed to reach the most automated computing capabilities to save time for user. The flexibilities and easy to use functions have clearly be extended beyond the expectation of traditional user impressions. To see more other functions, please install and execute the formal version of ChromManager6.n downloadable from website, and open the User Manual in the Help menu.